Based on more then 20 years experience in IR technology developments, the camera is able to detect and quantify volcanic ash and SO2, as well as plume and ground surface temperatures. Successor to NicAIR, can be used for volcanic, industrial and atmospheric applications. Uncooled microbolometer IR Camera has three narrow waveband filters at 8.6 µm, 10.3 µm, 12.1 µm and one broadband filter, which enable the simultaneous detection of volcanic ash and SO2. The system has the capacity for up to five wavelength filters. HD webcam and NIR camera to record visible imagery day and night. Built in tilt meter to measure viewing angle (accurate to nearest 0.5°). Weatherproof casing , with sealed viewing windows (Ge and Sapphire). The system can be used standalone or as a part of a network for synchronous acquisition. System contains internal temperature and humidity sensors to monitor environment. 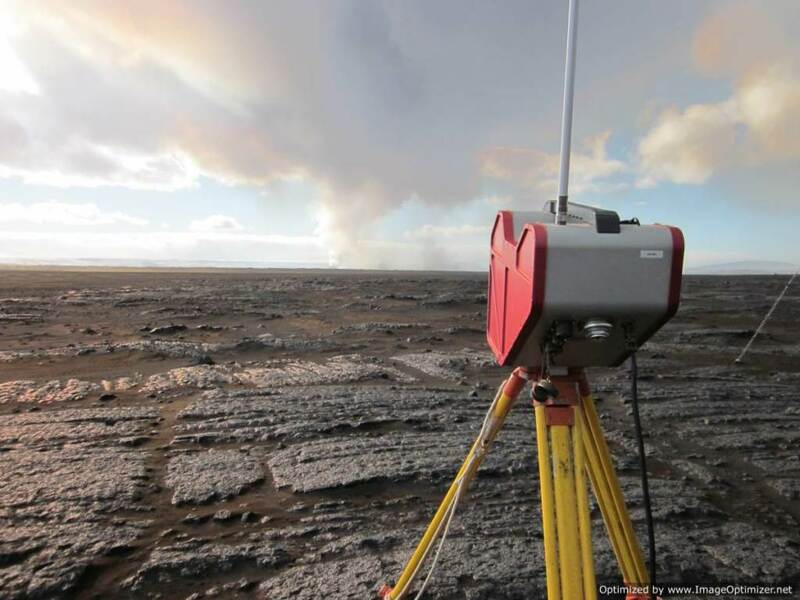 NicAIR 2 was used extensively by the IMO in monitoring the recent eruption at Bárðarbunga, the photograph below shows the system in the field during September 2014. The European Commission-funded Futurevolc project, led by the University of Iceland, was a large research consortia aimed at strengthening the volcanic monitoring systems in Iceland. As a part of the project, Nicarnica Aviation designed the NicAIR 2 instrument, specifically for deployment in Iceland. The Icelandic Meteorological Office (IMO) current have three instruments which are ready to be deployed should another volcano erupt. The instruments have also been parts of field campaigns at Karymsky, Russia and Sakurajima, Japan, with results published in scientific journals. The animation below shows infrared temperature retrievals from Sakurajima in February 2015.